RFK Action Front: Did Marya Hornbacher kill the "pain-and-suffering-memoir" genre and if so, is that a bad thing? Did Marya Hornbacher kill the "pain-and-suffering-memoir" genre and if so, is that a bad thing? The pain-and-suffering-memoir genre has been hot in publishing for much of the last 15 years. In 1994, Elizabeth Wurtzel came out Prozac Nation, an astonishingly beautiful memoir of living with depression which became a national bestseller. Then in 1998, Marya Hornbacher came out with Wasted: a Memoir of Anorexia and Bulimia. Wasted is a masterpiece, a work of literature so poignant and searing that I imagine people will be reading it 50 or 100 years from now in the same way that we now read Sylvia Plath. 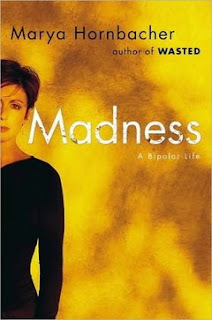 So last year (2008) I was surprised to see that Marya Hornbacher had a new memoir out called Madness: a Bipolar Life. My head tilted like Scooby Doo realizing, ruh roh, something was not right here. There were no loose ends at the conclusion of Wasted -- Hornbacher had triumphed over the most severe case of anorexia imaginable and fallen in love and married a wonderful guy. There was no need for a sequel. In fact, putting out a second pain-and-suffering memoir seemed to violate the #1 rule of the pain-and-suffering-memoir genre which is: You only get to write one! And yet here, in my hand, at the local bookstore was Marya Hornbacher's new pain-and-suffering-memoir, Madness, exactly 10 years after Wasted had been published. Naturally I bought it took it home and read it in one sitting. Now Hornbacher writes that she had likely been suffering from bipolar disorder all along and anorexia was merely a symptom of this larger disorder (which makes sense of course). In the course of Madness she bounces from one disaster to another -- severe cutting, alcoholism, sabotaging relationships with friends and family, multiple trips in and out of mental institutions -- with such frequency that she starts to appear self indulgent. The writing in Madness lacks the insight and power of Wasted -- perhaps the result of memory loss from multiple electro-convulsive ("shock") therapy treatments (which she recounts in Madness). In Wasted, Hornbacher, for all of her setbacks, was still always the subject of her own destiny. In Madness, Hornbacher has become pure object buffeted by the relentless waves of misery. Wasted was perhaps the singular achievement in the pain-and-suffering-memoir genre. And Madness feels like the work of an aging championship boxer coming back into the ring long after he should have retired. After 15 years of one-upsmanship in the pain-and-suffering-memoir genre, with one extremely talented author after another showing that she (usually it's a she) could survive (and even thrive! amidst) the most severe hardships imaginable, it is as if Marya Hornbacher turned in the ultimate piece of performance art, going all in against all comers in the game of misery poker to show that no matter what, she will always have the winning hand. Madness feels like the end of an era in publishing, the curtain coming down on an era of self disclosure as a form of self help. I think finally that's what Hornbacher does with Madness. She smashes the pain-and-suffering-memoir genre and in the process smashes the Hero's Journey form of story telling. She creates in herself a character whose extremes of self destructive behavior are so far beyond the norm that she no longer makes a claim on the reader's sympathies. She seems to be saying 'here I am, fucked up, beyond repair, beyond happily ever after, that is my experience of life, can you bear to look at it? can you stand it if life does not come wrapped in a bow?' In the process, I think she opens up space for us to once again see the world as it is with all of its light and darkness. Madness thus opens up space for stories that go beyond the Hero's Journey, into the depth of the human experience. Update #1: this post is slightly modified from an earlier version.